Previous studies have proposed potential benefit of glycated hemoglobin (HbA1c) supplementary to fasting glucose in detecting metabolic syndrome (MetS). This study was to investigate an association of incident MetS with levels of HbA1c and fasting glucose. 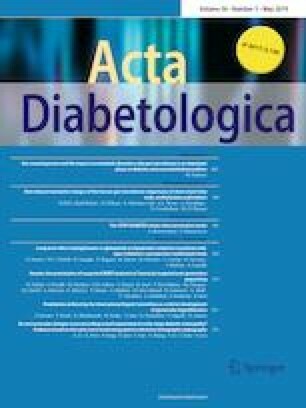 In a cohort of Korean Genome and Epidemiology Study, 5515 non-diabetic adults were grouped by the levels of baseline fasting glucose and HbA1c, and followed-up for 10 years. Using multivariate Cox proportional hazards assumption, hazards ratios (HRs) and 95% confidence interval (CI) for incident MetS (adjusted HRs [95% CI]) were calculated according to baseline fasting glucose and HbA1c. In individuals with normal fasting glucose, subgroup analysis was conducted to evaluate an association of HbA1c levels with MetS. The risk for MetS significantly increased proportionally to fasting glucose ≥ 80 mg/dL and HbA1c ≥ 5.5%, compared with fating glucose < 80 mg/dL and HbA1c < 5.3%, respectively. In subgroups of normal fasting glucose, HbA1c ≥ 5.7% had the increased risk of MetS in fasting glucose < 80 mg/dL (5.7–5.9%: 1.41 [1.07–1.86] and 6.0–6.4%: 2.20 [1.40–2.92]), and HbA1c ≥ 5.5% had the increased risk of MetS in fasting glucose of 80–99 mg/dL (5.5–5.6%: 1.33 [1.08–1.64], 5.7–5.9%: 1.57 (1.27–1.93), and 6.0–6.4%: 2.37 [1.87–3.00]). Both elevated fasting glucose and HbA1c were significantly associated with the increased risk of MetS even within normal range. HbA1c is effective in identifying high-risk group for MetS in individuals with normal fasting glucose. The online version of this article ( https://doi.org/10.1007/s00592-019-01290-0) contains supplementary material, which is available to authorized users. Data in this study were from the Korean Genome and Epidemiology Study (KoGES; 4851-302), National Research Institute of Health, Centers for Disease Control and Prevention, Ministry for Health and Welfare, Republic of Korea. Ju Young Jung coordinated the study, analyzed the data, and wrote the manuscript as a first author. Jae-Hong Ryoo and Pil-Wook Chung participated in conducting study and writing manuscript. Chang-Mo Oh played role in analyzing data and verifying the results. Joong-Myung Choi participated in English editing and reviewing manuscript. Sung Keun Park is the guarantor of this work and, as such, had full access to all the data in the study, and takes responsibility for the integrity of the data and the accuracy of the data analysis. The authors have nothing to disclose. This research did not receive any specific grant from any funding agency in the public, commercial, or not-for-profit sector. Ethics approvals for the study protocol and analysis of the data were obtained from the institutional review board of Kangbuk Samsung Hospital.